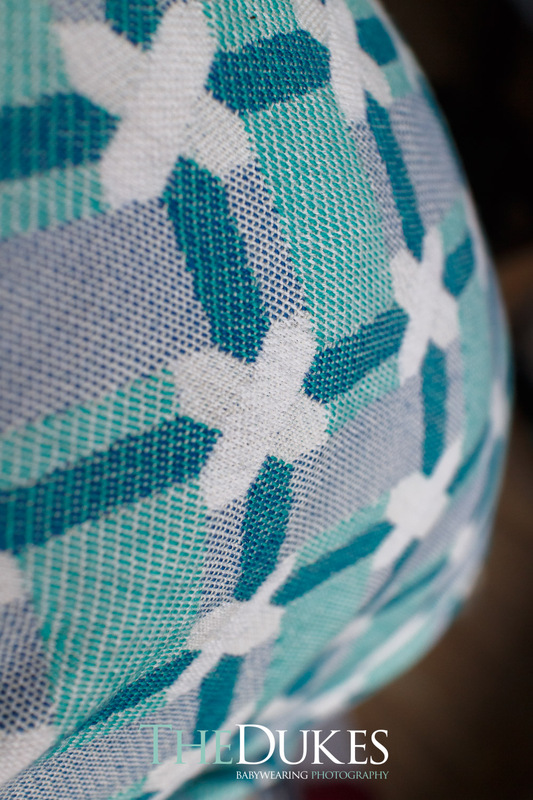 Last week I tested these two wraps from Jacq & Rose which are both 100% cotton but very different from each other. Jacq and Rose is a new brand from UK, founded this year and just launched there first collection of three wraps through a pre-order which is in production at the moment. 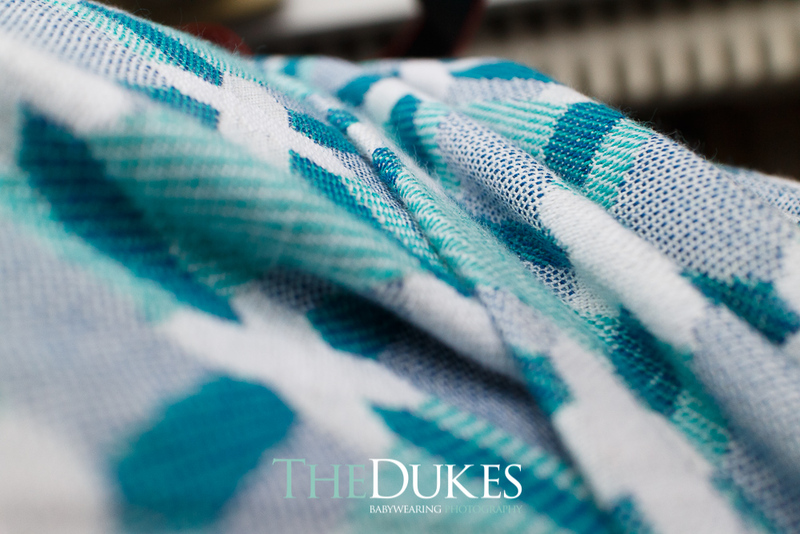 On theirfacebook page they say about themselves “ Our wraps are designed in-house and machine woven using ethically sourced yarns at a British mill. 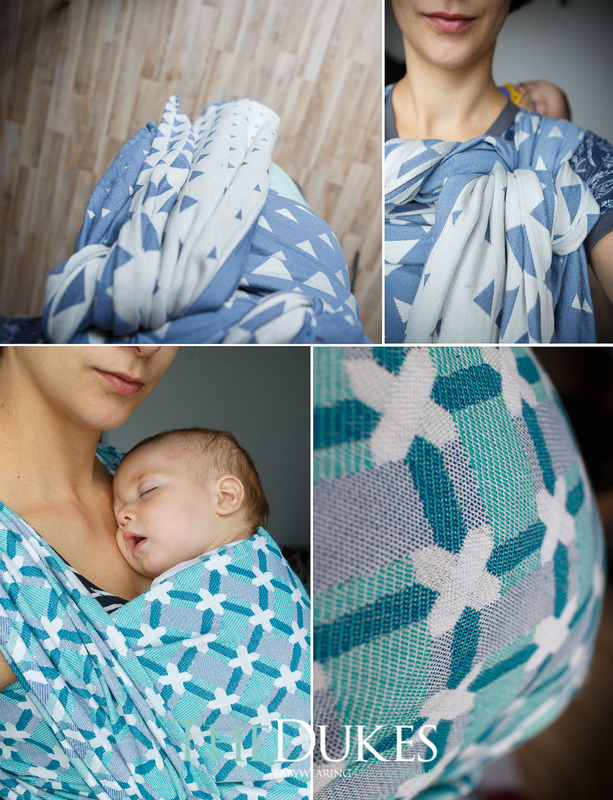 We are inspired by the world around us with a love of geometric, nature and tessellating patterns.” In the Facebook chatter group and on instagram you can many photos of the first tester wraps that are travelling around the world now. We already know the triangle pattern from the brand’s first pre-order a few weeks ago. It was available in three very strong and bright tones and while I really like the design I wasn’t a big fan of the colours. That’s why I am especially happy about this tester. 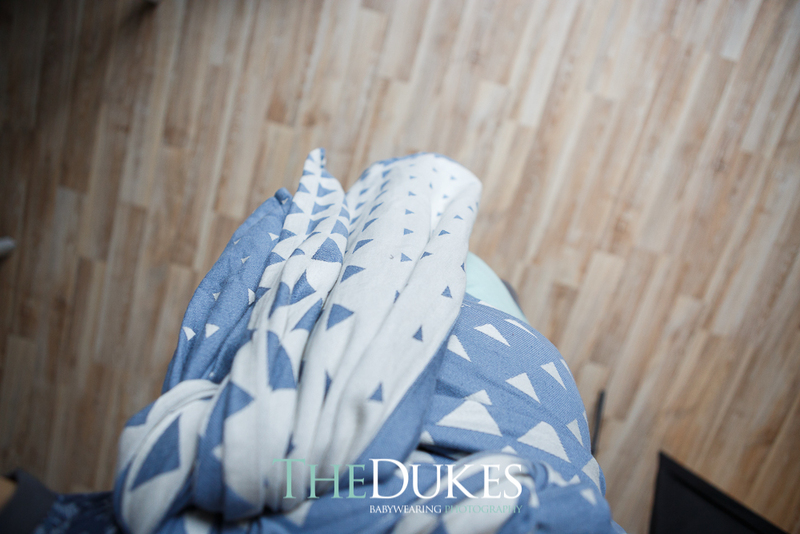 It has a soft and elegant tone between blue and grey and fits to almost every outfit. The whole wrap has a bit of shimmer and feels a little bit silky. It feels soft in hand, not just soft but kitten belly buttery soft. It was already broken in and I could enjoy it’s complete advantages. 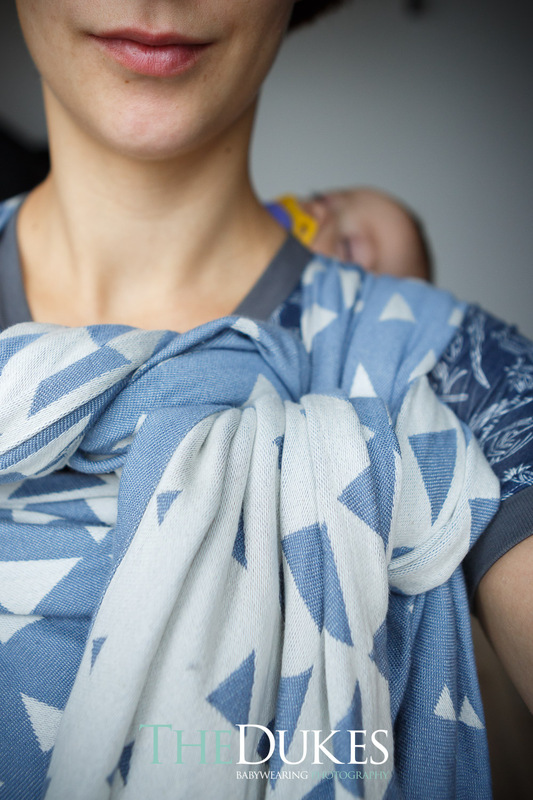 It has a weight of 280g/m² but definitely feels like less, it is light in hand and I think it would be a perfect wrap for newborns and small babies. It feels a little bit slippery at first but when I wrapped with it it had the correct mix of glide and grip. I never had to retighten or had any problems with wrapping. Most of the time I used it with our nine months old son in a Front Wrap Cross Carry. 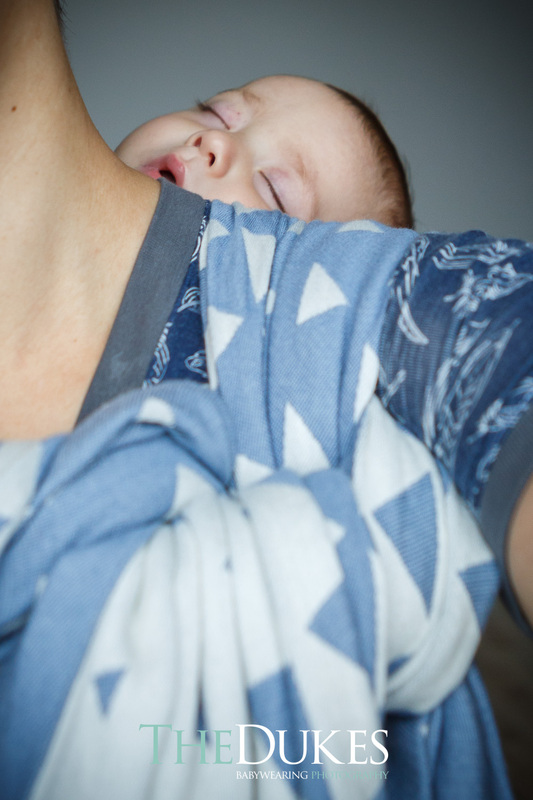 The wrap doesn’t have much cush and is a little bit flat on the shoulders but it wasn’t uncomfortable because it is very supportive and I couldn’t recognize any sagging. It was a pleasure to wrap a Double Hammock with it because of it’s smooth surface and a little stretch the second pass literally wrapped itself. Another nice surprise with the small Candy Cane Chest Belt and the little knot. I reached for this very often in the last days because it was such a nice and soft feeling on the skin and the baby seemed to enjoy it, too. The second wrap is a new design and doesn’t have a name yet but the prototype is travelling under “Ribbons” because it’s inspired by ribbon weaving. It’s a bit heavier with 310 g/m² and you could totally feel the difference. It is still on it’s way to be broken in and is heavier in hand and still a little bit stiff. But if you also have the Tri wrap in hand you can guess, where the journey will take you. I used it a lot and it definitely softened up. I guess, one or two more washes and a little iron treatment would fasten the process. Never the less it is a great wrap. It is very easy to tighten the different parts of the wrap and is absolutely supportive. I had our 3.5 years old toddler in a FWCC and it felt very good. It has a nice structure and a tiny bit of stretch so that it is laying itself around you and your child and give you a very cosy feeling. I still don’t know what I think about the design I think it is pretty cool because all parts are “in touch” with each other. But for me it a bit too restless and there are too many different shapes and colours. But I really like the crosses and the shades of blue and green. You see, I am not sure yet 😀 I am curious to see this in other colour ways, maybe I will be clearer then. 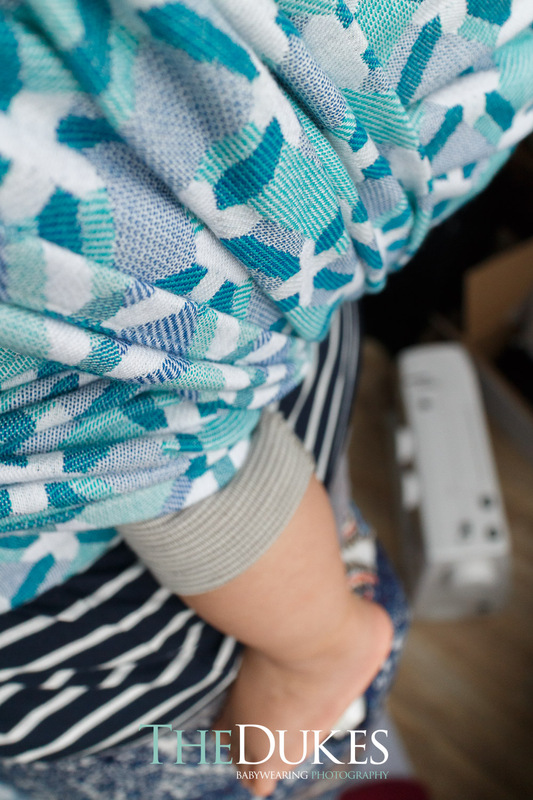 All in all this is faboulous wrap for babys and toddlers (maybe not for tiny newborns) and shows it’s potential in one layer carries with a toddler. Because is is cushy, supportive and stays where I expect it.